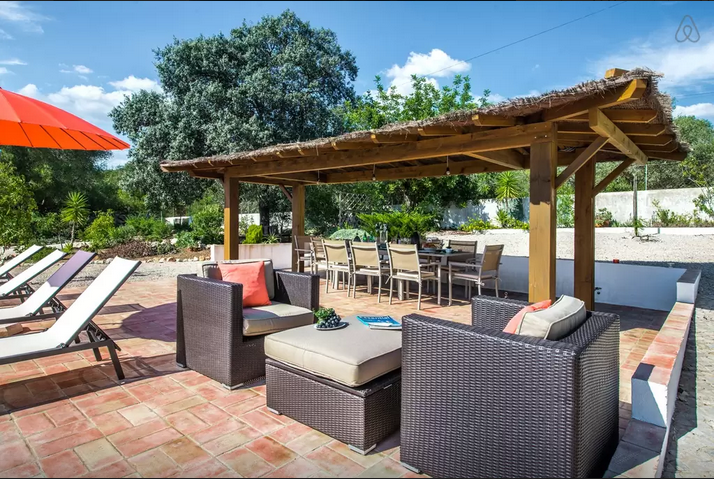 We have completed many projects in the garden and around the pool from freestanding pergolas to lean-to’s and decking. 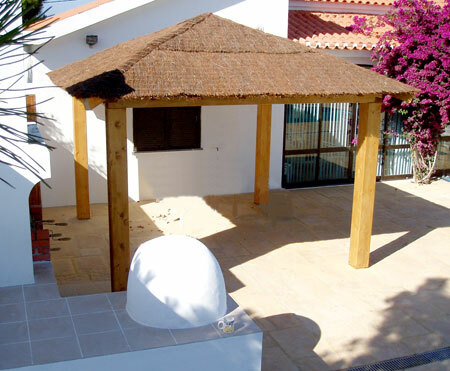 Below are a few samples of this type of work that we have done throughout the Algarve. 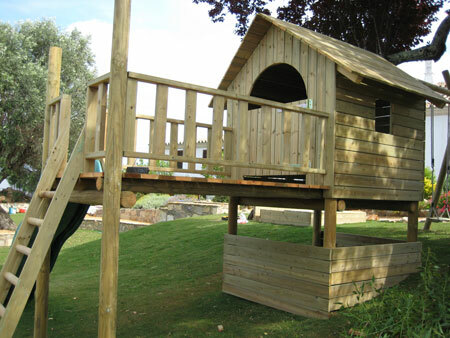 We also replace roofs using a variety of types of wood. 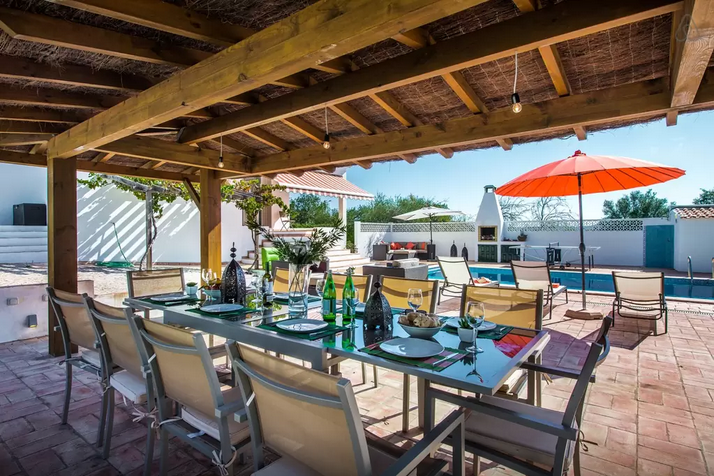 People often think that the climate in the Algarve is kind to timber but the truth is that the intense swings from humid to dry, coupled with the extreme UV, cause inferior types of timber to twist and crack. Most of our planed timber is slow grown nordic pine, treated in an autoclave using the more modern enviromentally friendly processes which are guaranteed for 25 years. We can then colour the wood using linseed oil based treatments. We can also use locally sourced rustic “telephone pole” type timber for a more traditional look. For decking we currently use a tropical Massaranduba for an extremely hard wearing surface at an economical price. Ipé is also avaliable, however is more expensive. 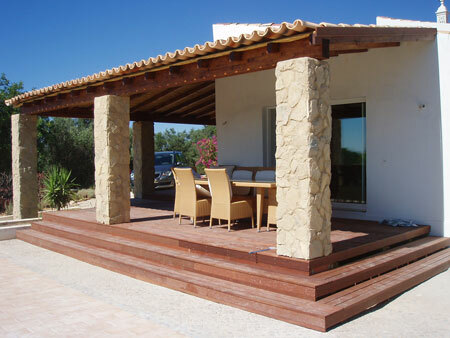 Nordic pine and glulam pergola with bamboo and tiled roof and a multi level massaranduba deck. Nordic pine and glulam pagoda with weatherproofed semi transparent bamboo roof enabling furniture to be left outside. Pine pagoda with split bark roof, also weatherproofed. 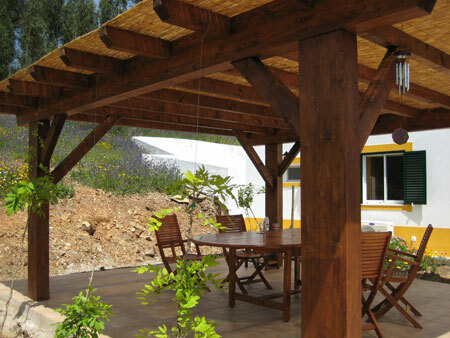 Another glulam and pine pergola with weatherproofed bamboo roof.